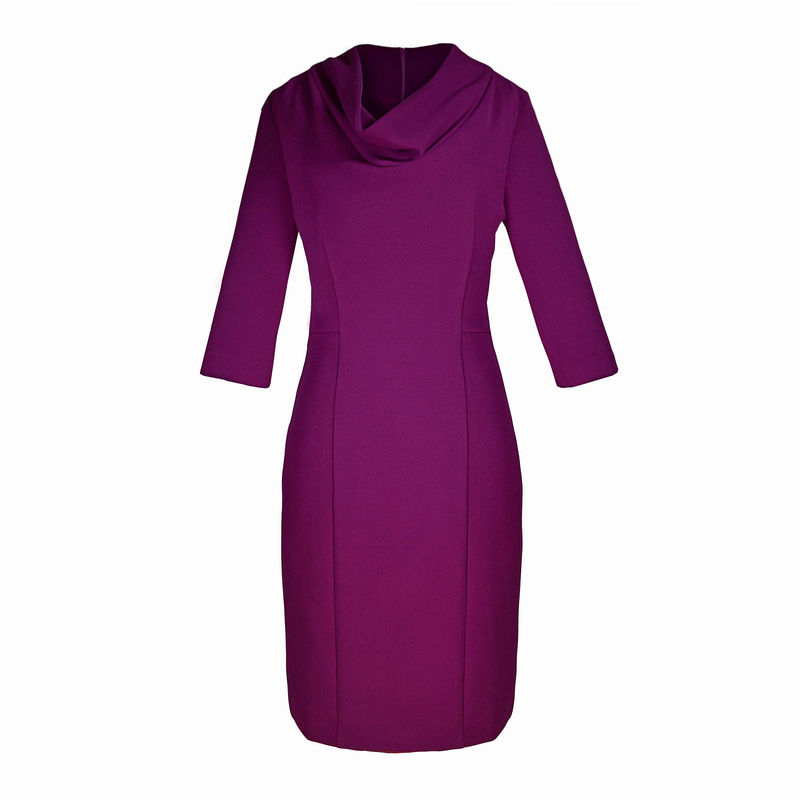 A figure-skimming petite dress with a flattering cowl neckline and ¾ length sleeves. Panelled throughout to elongate your petite frame and enhance curves, this elegant dress looks fabulous on petite women of all sizes. This magenta dress takes you easily from desk to dinner and will create a positive lasting impression at client meetings, networking or for that important presentation. See how our customers wear it here. COMMENTS : I've been waiting for this dress to go on Sale for eight months but it wasn't reduced in price so I just had to give in and buy it this January! I have to say I loove it! The colour is divine. Very unique, can't see anything like this in stores. The fabric is superior quality. When you see it in person, you actually realise that it's a bargain, a dress in this type of material would be found in luxury stores sold 4x the price. So I bought the green Miranda too but the green fabric is a lighter weight. Still looks gorgeous though. Continue the lady-like mood and team with pointed toe heels, subtle gold jewellery and a simple box clutch.